And perhaps nothing puts that concept into action quite like the International Bacculaureate (IB) program at Huron High School, Scarlett Middle School, and Mitchell Elementary, where students are active participants in their learning. It’s a particularly exciting year for the IB program, as the district launches the first IB Career-related Programme (CP) in the state. 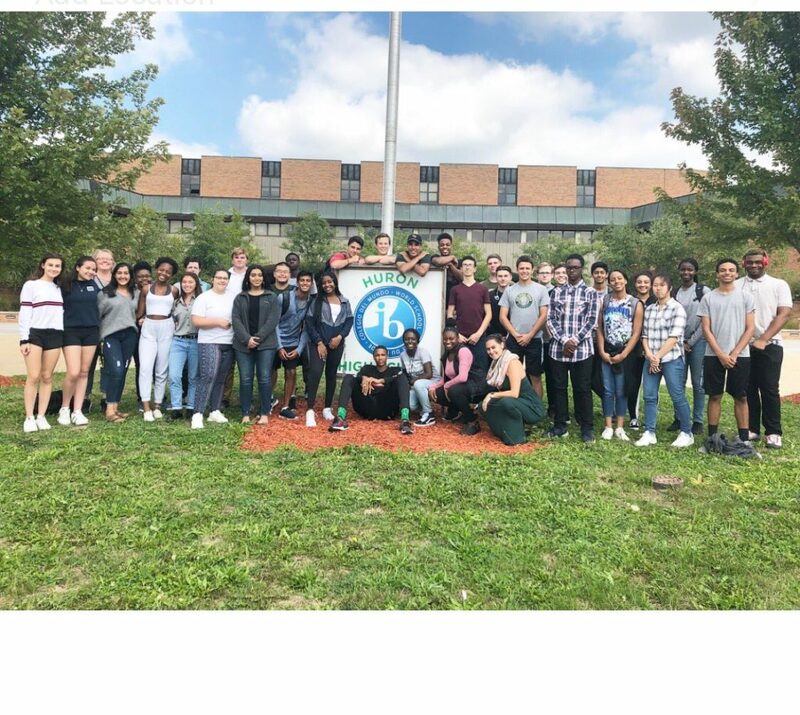 The program is for Huron High School juniors and seniors who want to tie together their career interests along with a high-quality IB education. CP students build skills academically as they study Diploma Programme courses, and technically as they learn skills in engineering, business, automotive, cosmetology or homebuilding. “And at the same time, ” says CP Facilitator Carrie James, “they are tying that together with employability skills through the CP core advisory, looking at personal and professional skills, ethics in their career field, service, and language development. Diploma Programme (DP) at Huron High School, grades 11 and 12, with 27 DP course options. Access and Equity – intentional development of curriculum and supports connected to the needs of learners. Kevin Karr, who facilitates the IB program for the district, noted that the IB program is attracting families who want just such a thoughtfully planned, meaningful and engaging education for their children. Huron offers open enrollment for those who want to enter Huron in the 11th grade and be part of both the Diploma Programme—with 27 course offering—and the Career-related Programme. Families interested in learning more about IB at AAPS, including contact information for IB facilitators for each of the IB programs, should check out the Ann Arbor IB website.